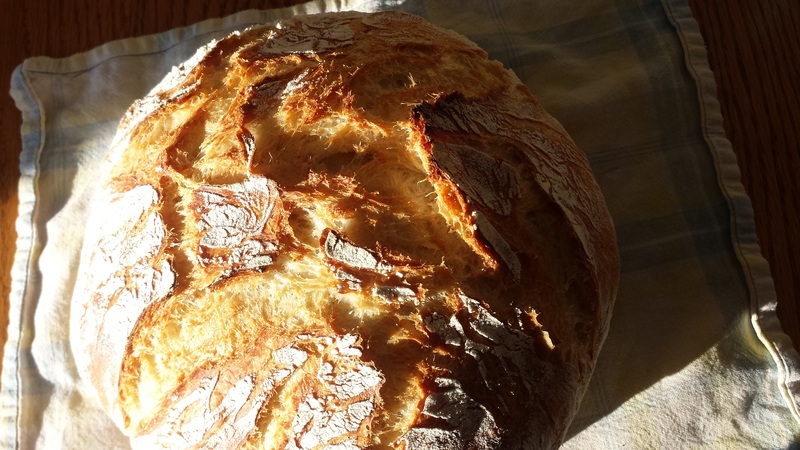 I have been hearing about these no-knead, overnight, artisan Dutch oven breads for months (years?). I read the posts and tutorials, and I was on board. It looked like magic. But alas, I had no Dutch oven. 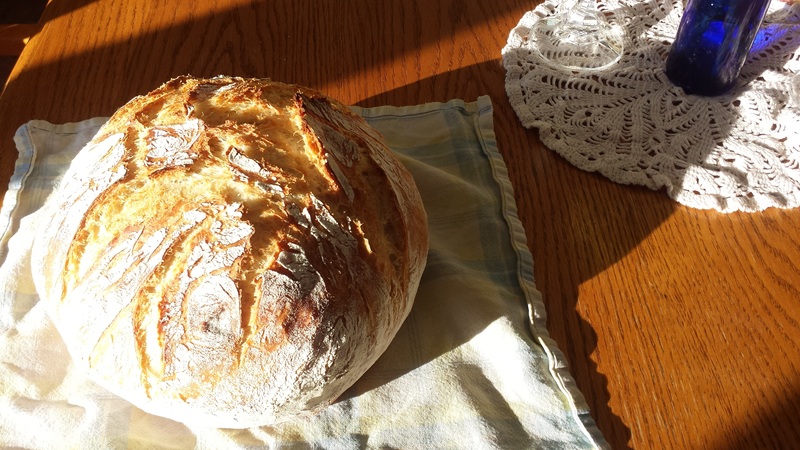 So I carried on, making bread as I always had, fantasizing about round crusty loaves. 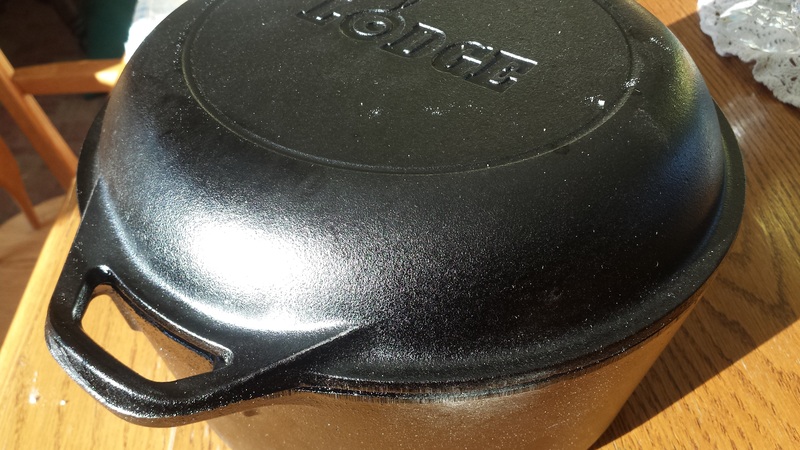 When my Mama gave me this cast iron Dutch oven for Christmas, it was a no brainer. I would make the good crusty bread. I followed this recipe, and the family deems it a success. And holy easiness, Batman! I have a batch of dough rising for my best friend, as I speak. I can’t stop imagining the possibilities. Vive le pain! That looks amazing… I only have a Pyrex dutch oven, not sure I would get the same result. I need to invest! Wow – just wow! Gorgeous. I made it last year and it was delicious! I really need to make it again. I am so pleased with the results. I actually think the loaf I baked for my friend came out even lovelier!